I applied to Global Partners this past summer and was appointed as a Go-Net Missionary in October. The Lord opened a good work opportunity for Heidi in our hometown that allows us to live close to family and friends. She understands that I have been called to GO and that I would be disobeying God if I neglected my missionary call. I am very blessed to have a wife who fully supports this step of obedience. Recruiting teams of volunteers to go and work alongside Haitian workers to rebuild these churches through 2017 and early 2018 (minimum of 10 to 12 teams needed). Planning and coordinating most aspects of rebuild teams…airfare, pre-trip team training, project material purchase and delivery, communication with Haiti mission team coordinator, etc. Traveling to Haiti with teams to lead the rebuild projects (10 to 12 trips per year). “We hold service from 4am to 8am on Sunday mornings because the church building has no roof to block the heat of the sun when it comes up. When rains come the service ends and everyone runs for shelter.” Those were the words of an assistant pastor back in 2013 before God allowed me to partner churches and individuals in the USA with this church in Haiti. Within a short time funds were donated and a team was in Haiti assisting local workers to put a roof on the church. Because of damage from Hurricane Matthew, seven churches are now meeting under tarps or other makeshift structures. They need to be rebuilt as soon as possible, but that cannot happen without your help. PRAY. GIVE. GO. Each of us has a part to play. What will you do? Will you partner with me to be the hands and feet of Christ to restore hope and build God’s Kingdom? I need churches that will support my mission work at $50, $100, or $200 per month. I also need many individuals and families giving $10, $25, $50, or $100 monthly. Your monthly support will enable me to go and impact Haiti for eternity. To Give Online or sign up for monthly Faith Promise follow the link http://www.globalpartnersonline.org/missionaries/WM29-0105. I can also mail a ministry commitment card for you to fill out by hand if requested. Due to the immediate need for me to devote my time to coordinating the church rebuilds and traveling to and from Haiti I have one final request. Would you prayerfully consider beginning your Faith Promise in January 2017 or as soon as possible? The sooner my financial support is raised the sooner I can devote all my time to the mission that God has called me to. Thank you for your continued prayers for our family during this time of transition from Global Partners to Poured Out. Our official last day with GP will be this Friday, February 28th. Please begin sending donations to Poured Out after this date. Donations to Poured Out can be made by check or online. Automatic monthly giving options are available. Directions for giving are listed below. Remaining funds in GP ARE NOT transferred to Poured Out so we are starting with a zero balance. Some of you asked about the automatic draft that you were giving to Global Partners for our support. I received word from GP that they will stop all EFT transactions on February 28th so you do not need to do anything to discontinue that donation to GP. Haley transitioning back into public school…going great!! Before we left for Haiti we challenged each of you to Pray, Give, and/or Go. We still need more churches and individuals/families who will support us on a monthly or yearly basis. There are currently two ways to make tax deductible donations to Poured Out for our support. Automatic monthly contributions can be set up through this option by checking the box that says “Make This Recurring (Monthly)” beside the online donation amount box. Please make checks out to: Poured Out, Inc. Contributions made to support a missionary through PayPal. This can be done by clicking any of the “Help Now” buttons on Poured Out’s Website. In doing so, the donor will be directed to PayPal. People can also go directly to our Donation Page and click the “Help Now” button there. IMPORTANT NOTE: Many people have questions as to how to specifically allocate their PayPal contribution to a missionary. Pictorial instructions can be found by visiting our PayPal Instructions Page. We highly recommend all donors check this page out before contributing in order to ensure a quick and easy process! Quick responders with specific skills – Class A CDL drivers, equipment operators, etc. These people would need to be available with very little notice to respond immediately with the initial Poured Out team to set up the relief site. Please contact me if you have any questions, need more information, or would like to get your name on the volunteer list. Those words, along with a flood of emotion, came to mind as I entered the Gulf Coast on my third disaster relief trip following Hurricane Katrina. 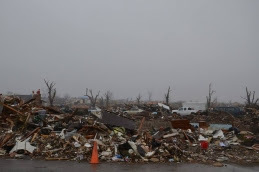 I told many people after my previous trip that “I left my heart down there with those devastated people.” Many of you know that Disaster Relief has a huge place in my heart. I was actively pursuing opportunities to do Disaster Relief ministry full-time when God called us to Haiti back in 2009. There are no doubts that God opened the door and called our family to Haiti to serve among a people who live in a constant state of disaster. Our family answered God’s call to go, and we feel a great sense of satisfaction and completion from our time in Haiti with Global Partners. However, my heart never got away from Disaster Relief. Anyone who has volunteered for Disaster Relief has witnessed the impact this ministry has on the people devastated by natural disasters. They have also seen God’s hand perform miracles. One lady in Orange, Texas shared the following emotional testimony on video. I am Cindy Jackson. When Rita came through it destroyed another home I had. I was able to take my insurance money and buy this home. Then Ike came through and paid us a visit, and I had approximately a foot and a half of water, and no flood insurance. It ruined a lot of things in my home. The enemy tried to throw me in a pit…this wonderful organization called World Hope showed up…James told me he would send a guy over to look at my electrical, and when I came there was a whole crew of angels on my driveway. It truly felt like in the body of Christ how you know its one thing to say things but to see it enacted. Jesus’ hands were on my driveway. At first I was overwhelmed… and couldn’t believe that someone was here to help like that. I want to thank you all for coming and giving me hope for the future. God just continues to show His hands by sending people to help. Thank you for doing what we as Christians are sent out to do. I was blessed to be the leader of that “whole crew of angels” on her driveway, and I would need much more time to tell the amazing chain of events that actually made it possible for us to be the “hands of Jesus” on her driveway that day. Heidi and I want to thank you once again for your prayers for and financial support of our family’s ministry in Haiti during our term with Global Partners. We are so thankful to finally announce that I have been offered and accepted a ministry position with Poured Out. This group ministers through Disaster Relief in the United States and in Haiti through bringing life-giving water to areas where there is no potable water. The base of operations for Poured Out is in Michigan, but they have decided to add a “Southern Connection” to the ministry. I will respond to disaster stricken areas inside the US and lead short-term mission teams to Haiti from our base of operations in South Carolina. Poured Out is not an official ministry of the Wesleyan Church, but will soon have status similar to World Hope International in the way it is recognized by the Wesleyan Church. One of the founders of the Poured Out ministry is an ordained Wesleyan pastor, and a recent press release on Wesleyan.org called Poured Out “the disaster and relief partner of The Wesleyan Church.” However, the ministry partners with businesses and other denominations to bring clean water to orphanages and villages in Haiti, and to bring much needed assistance to people affected by disasters. Poured Out is a faith-based ministry just like Global Partners and requires their missionaries to raise support in the same way. It is a registered 501(c)3 Non Profit, and can receive tax deductible contributions. We would appreciate your prayerful consideration to continue supporting us through another organization. However, we will understand if you are unable to do so. Please let us know at your earliest convenience if you will be able to continue your support of our ministry as we transition to our role with Poured Out. I will send more information about how donations can be made to Poured Out for our support once I receive your response. I hope this message finds you well. We are enjoying the cooler weather of late November in Haiti…of course by cooler I mean high 70’s at night instead of high 80’s. The dry season has arrived and our family has now started the countdown to our departure from Haiti. We will be flying out of Haiti on December 18th and will conclude our service with Global Partners in February. Once again we want to thank you for your prayer and financial support of our family over our term with Global Partners. A final request is about your financial support. Poured Out is a faith-based ministry just like Global Partners and requires their missionaries to raise support in the same way. It is a registered non-profit, and can receive tax deductible contributions. 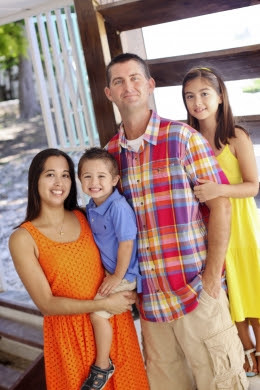 Will you prayerfully consider continuing to support our family on a yearly basis? Heidi and I will need to make a final decision about this position around December 19th and would ask you to let us know of your decision before then if possible. We completely understand if you are unable to continue supporting us through another organization, but we would appreciate your prayerful consideration. May God bless you richly in the coming Christmas season and the New Year.